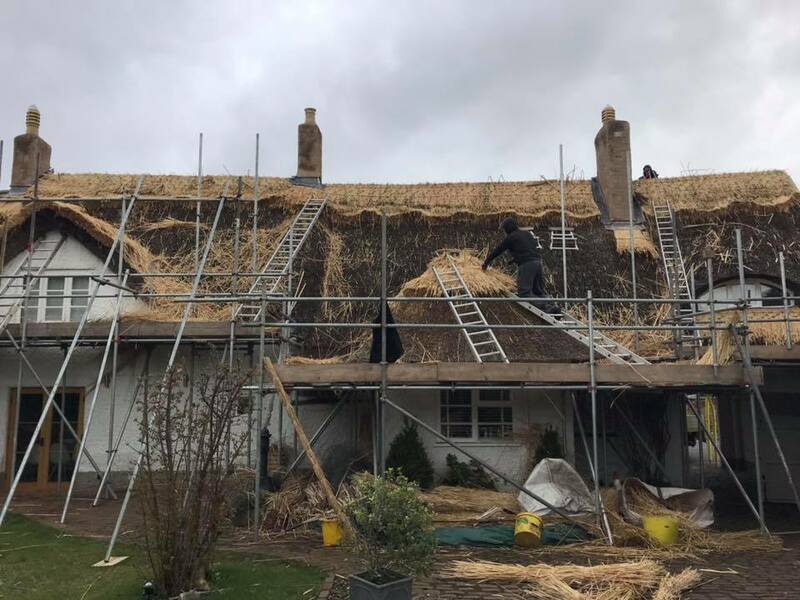 This large ridge which we are currently working on at Houghton on the Hill, Leicestershire, is certainly a blast from the past for us. Owner of Heart of England Master Thatchers, Paul, worked as an apprentice on this very roof years ago. 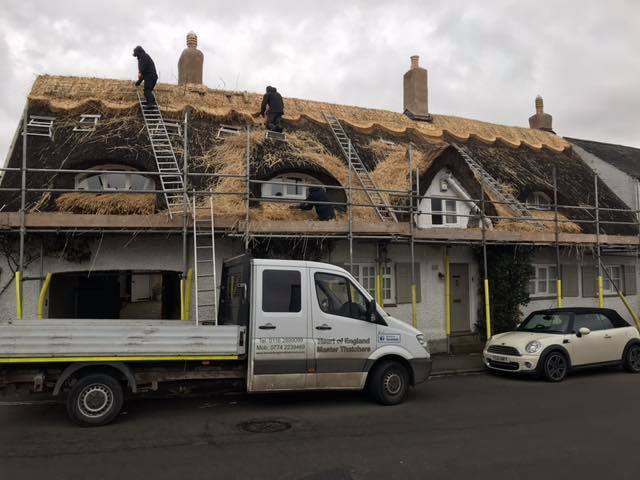 It was actually the second roof that he had ever worked on! Nice to be back again, even if the weather was on the turn!